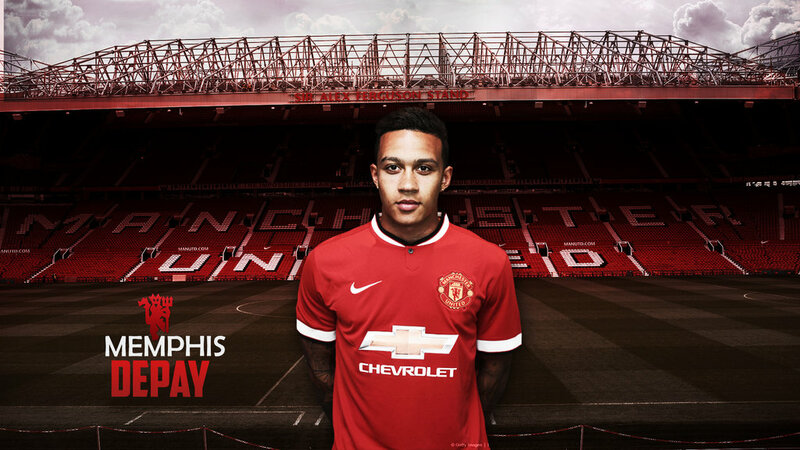 When the starting lineups were announced two questions popped in my mind: what would be the positioning of Depay? And why is Pochettino adapting Eric Dier to a midfield position? So, Depay occupied a central position behind Rooney, with Mata deployed on the right side. This Depay positioning does not come naturally to him, as he played mainly in the left wing for PSV. Nonetheless, he has all the technical ability to thrive in this position, as he can have more impact in this central role, just like Gareth Bale under Andre Villas Boas tenure. Of course, this will take time as this game showed. About Eric Dier, I have to say he is a very solid player whatever the position he plays, but this is starting to act against him, as he rarely gets a chance as central defender, which is where he can fulfill his potential. Like the title says, the first half had two different periods: bG (before the goal) and aG (after the goal). First of all, and this happened all over the game, Manchester United has a big issue in their first phase of construction that was also obvious last season. When they start a play from their defense, they always have a hard time penetrating the opposition lines and creating something of notice. This was more obvious before the goal, where Tottenham was able to create two chances by pressing and recovering the ball in United's half. In this bG era, Tottenham was able to control the match and were clearly the better team on the pitch. And then Bentaleb misses a pass and Manchester United went ahead, so cruel! I don't remember Wayne Rooney touching the ball in this period and when he had his chance to score, Kyle Walker was too quick and did it by himself! This leads to a trading issue: from a football perspective there was no reason to back Manchester United and nonetheless they scored. What can you do about it? You can live with it. This is football, where mistakes and goals against play happen a lot. Another question: if I was trading would I be backing Tottenham when the goal happened? It depends on the price and the market dynamics, like it always should. As an example, I love craft beer and Punk IPA is a very decent beer but would I buy a bottle for 20EUR? No, only if I was dying in the desert! Back to the game, in the aG era Man Utd construction problem persisted but the magnificent work of Carrick and Schneiderlin in a second pressing zone, lead to the recovery of several possessions in Tottenham´s half that could have led to the second goal. In this period, Tottenham was totally harmless, not being able to connect their play. There is not much to say about the second half as there was no marked dominance by any of the teams, but the decision to give playing time to Schweinsteiger taking Carrick (solid performance as usual!) off the pitch and to put Valencia on, for the final stage, almost cost United two points. 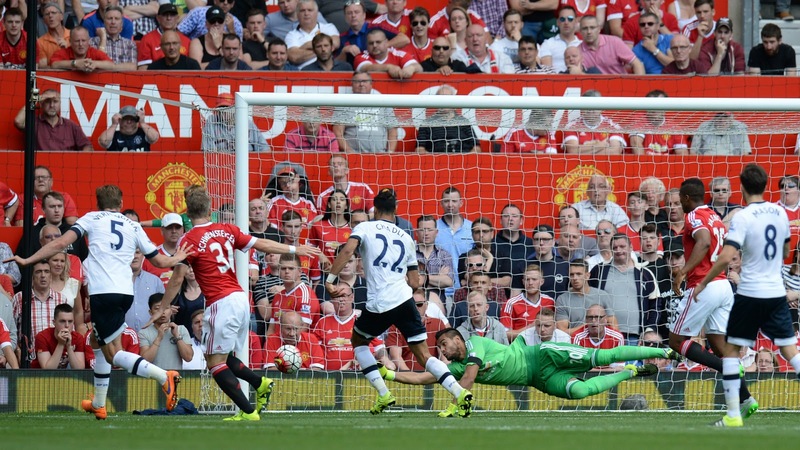 In the last minutes, Tottenham pushed United to its own half and Romero ended up as a hero with two good saves. As a final remark, it wasn't a very interesting match for the occasional viewer! Darmian and Schneiderlin looked very good on the pitch and I believe they will have a massive role improving Man Utd defensive stability, especially in the away games. Romero looked shaky with the ball on his feet, but ended up being very important; of course, he is not De Gea and that comparison will haunt him for the rest of the season if the spaniard leaves for Real Madrid. 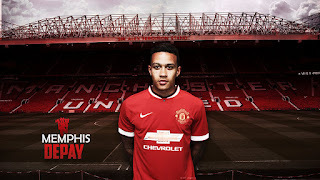 Depay has great potential but if Van Gaal maintains the idea of playing in a central role, it will take time for him to deliver. Finally, Schweinsteiger looked rusty and unfit and it will be interesting to see how Van Gaal will accommodate him in the starting lineup. Good analysis. Are you the author of Valor Esperado blog?